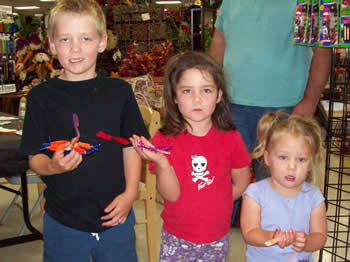 Event at Beverlys in Ukiah! 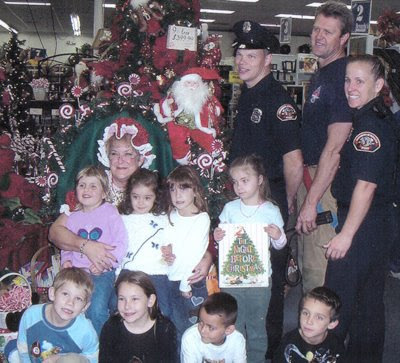 Next Wednesday, December 17th, the La Bella Nota bell ensemble will be performing from 6 to 6:30 pm. Come and join us for some lovely holiday music. 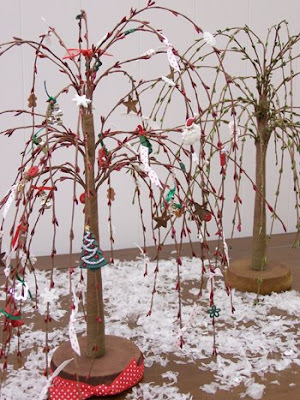 Super easy ...... these willow trees are ready for you to decorate. Multiple sizes in green and red, all they need is some buttons, bows, beads, etc. 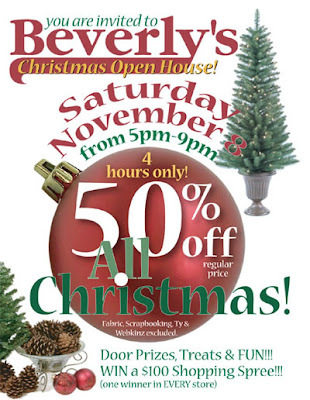 Scrapbooking embellishments are also a great way to dress these trees up, and Beverly's is having a sale on the Making Memories Fa La La collection right now! Using a hot glue gun, it's as easy as 1-2-3! 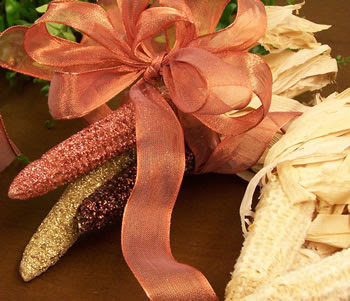 Get a Jump Start on the Holidays! Just in time for your holiday cardmaking and papercrafting; Nestabilities Dies by Spellbinders have just arrived at Beverly's. 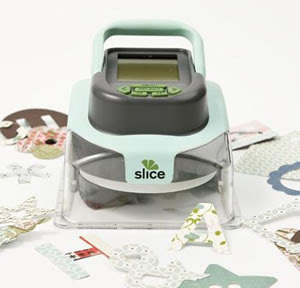 These dies not only cut, but also emboss and stencil all-in-one. 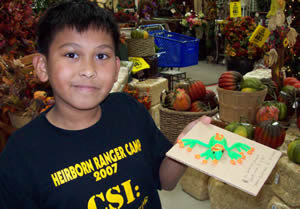 Personalize your cards and gifts with these fun dies. Check out our "Warm Wishes Tag How-to". The Slice Comes to Beverlys! 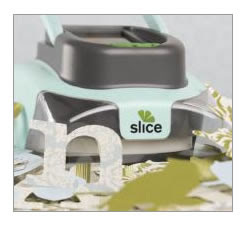 Coming soon to Beverly's: The SLICE™ Cordless Design Cutter from Making Memories' is the first cordless digital design cutter - it measures less than five inches square and weighs less than two pounds. Its iPod-simple interface and easy to read graphics window enables users to select from thousands of high-style images and instantly convert them into die-cuts ranging between 1” and 4” tall in ½” increments. Check out http://www.whyslice.com/ for more info, and look for an announcement from us as soon as it comes in! What's more popular than ghosts at Halloween time? How about a stiffy ghost? 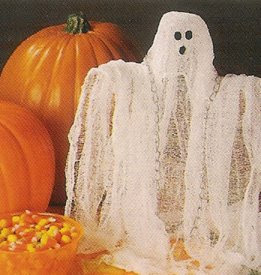 Beverly's has fabric stiffener and cheese cloth - all the supplies you need to create your one of a kind Stiffy Ghost! Check out our video showing you how easy it is to make! Beverly's - Your Halloween Headquarters! Beverly's has always been known to carry all the products you need to make your Halloween extra special, but this year we have something really cool! 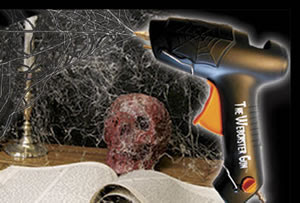 It's called The Webmaster Gun, and it's a easy, fun way to create lots of spider webs for all the amateur (and not so amateur) halloween decorators out there. We've created a video to show how easy it is to use, so check it out here. 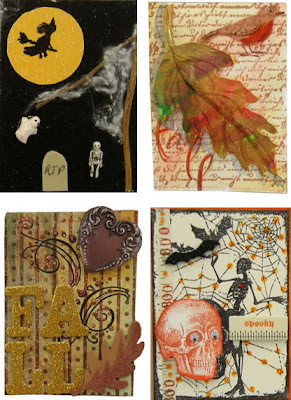 To capture this years Halloween memories, you must check out Making Memories scrapbooking line called Spellbound. 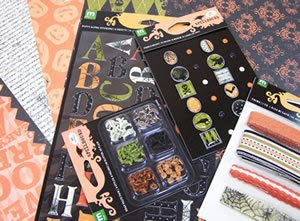 It's full of frighteningly fun paper, brads, stickers, ribbon and more! 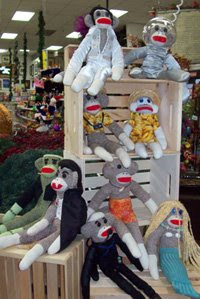 And for something a bit on the cute side, come see our Webkinz and Ty products. We also have makeup, wigs, hats, masks, and so much more! 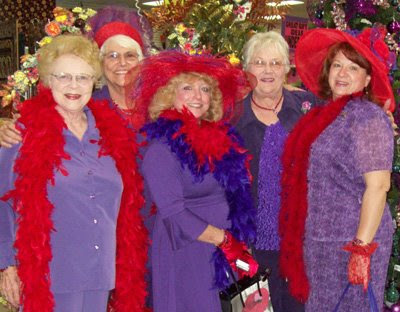 As you know Beverly's has a new internet coupon every month. 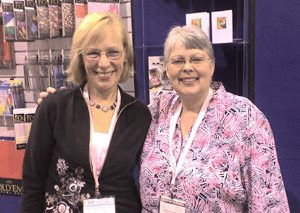 This month's coupon is for the bead line "Imagine It"! 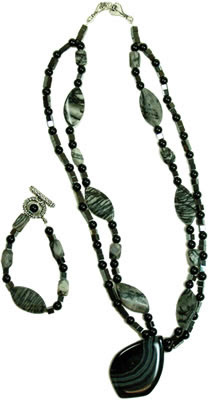 New to Beverly's, Imagine It offers the jewelry maker a great selection of natural and semi-precious beads. 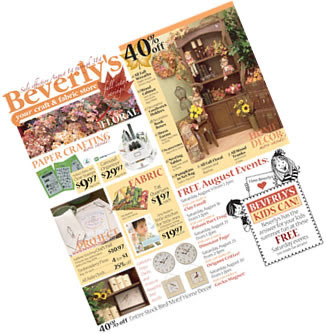 Go get your coupon here, then bring it on into Beverly's for great savings! 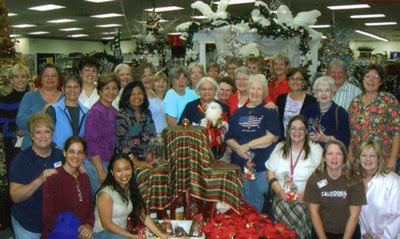 Santa Rosa's next ATC swap will be Saturday, October 18th 11am - 12pm - please come by! 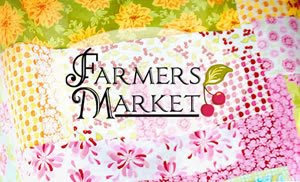 Sandi Henderson's Farmer's Market is Here! Yay! 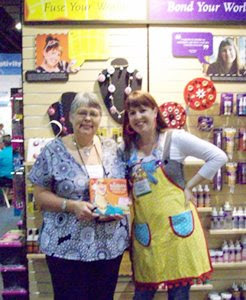 We're so excited ...... Sandi is very talented and her new fabric line is fun and cheerful. You must check out her blog. So full of inspiration and some great tutorials. 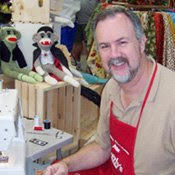 Another fabric designer favorite - Amy Butler's has been busy as well. Her latest line: Daisy Chain is coming to Beverly's soon! Also coming soon and new to Beverly's is Lila Tueller's fabric line called Woodland Bloom. 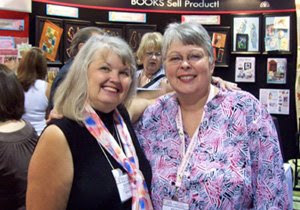 You can read about Lila at Quilters Buzz, or her blog. 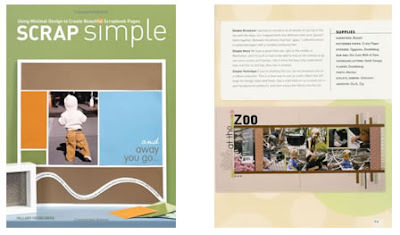 Scrapbooking Inspiration from Scrap Simple! Scrap Simple is on sale at Beverly's this month for $16.97. Also on sale this month are all the tools you need to make an ATC..... keep checking back - we'll be showing you some of our ATC's, letting you know about the latest fabric in our stores, what you can do with corn husks - and having a giveaway! Don’t know if you've noticed, but Beverly's has a new display of Offray Ribbons. 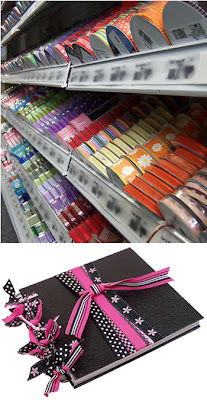 There's a great assortment of colors, ribbon with and without wire, and lots of widths to choose from. 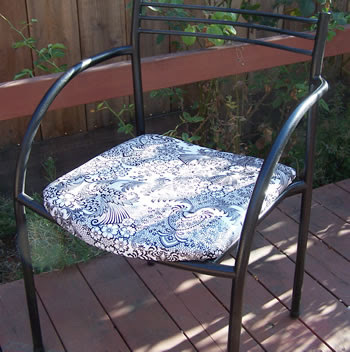 So many of the spools coordinate that it makes projects like this one easy to do. This journal was made using a 7"x7" spiral bound sketch book and 6 spools of ribbon. 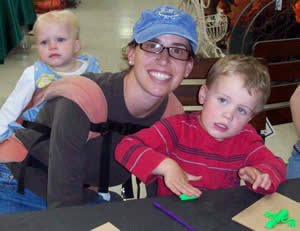 Get several sketch books and you can make some quick and easy gifts. (6 spools will do about 6 journals). is nillakitty!!! Thanks to everyone who played along. 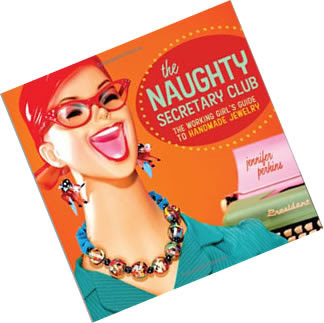 Nillakitty, we'll be in touch with you shortly with instructions to claim you prize. 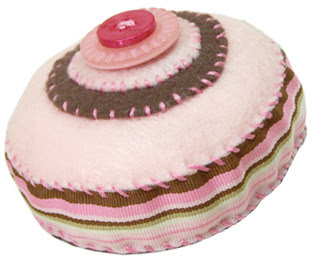 You can find her pincushion here. 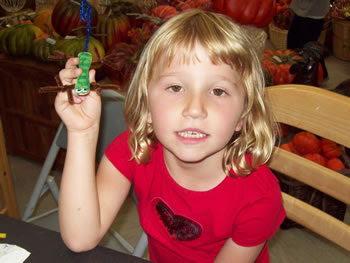 Look for another drawing when our October mailer comes out. 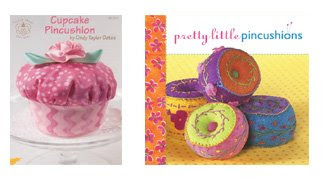 This month Beverly's is offering 25% off of two books that feature pincushions: Cupcake Pincushions and Pretty Little Pincushions. So we thought "what a perfect excuse to have a giveaway!" 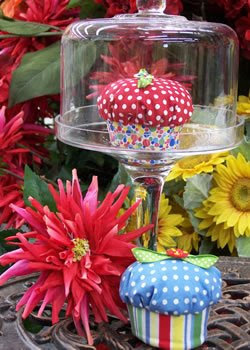 Pincushions are all the rage, and just like snowflakes, no two are alike. We'd love to see what you come up with. You can use one of these books as inspiration, or come up with your own creation. 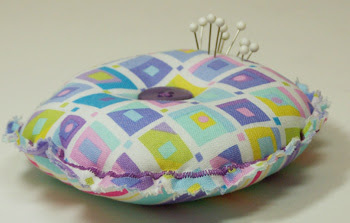 Just leave a comment with a link to an image of your pincushion, and let us know which Beverly's you shop at. We'll draw a winner on Monday, the 22nd. Too early? 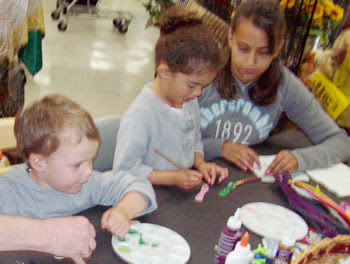 We think not ..... it's never too early to get start on those gift giving projects. Miss Kathy has been busy. 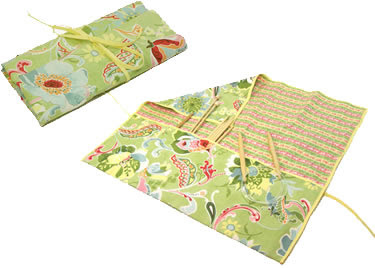 Here's a knitting needle case she whipped up. 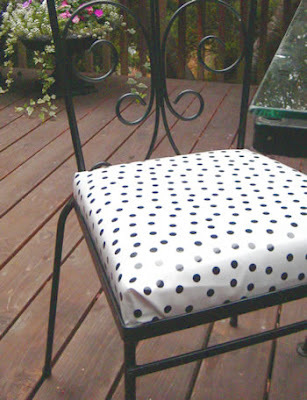 Easily done with a couple of fat quarters and seam binding. Then she made up this cute purse, that could be used for toting around your latest knitting project. 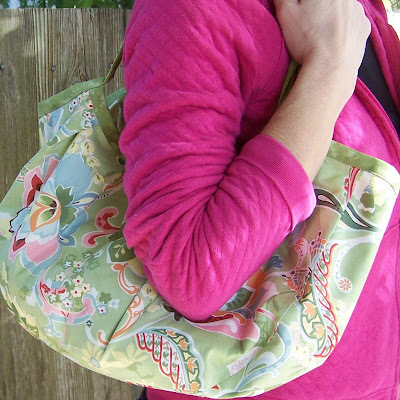 She used a pattern from the Slouchy Bags book. Great ideas - thanks Kathy! 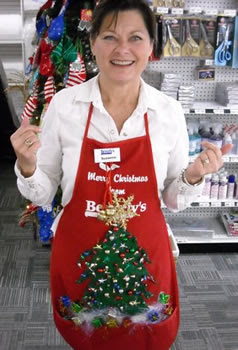 Would you like to win a Beverly's Gift Card worth $25? Who wouldn't? 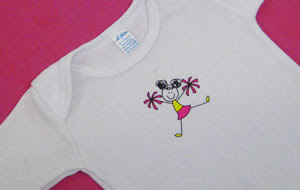 Keep checking back here on our blog to find out how.... and get ready to get crafty! Fresh New Looks for Your Ourdoor Furniture! Me & My Peeps™ Iron-ons now at Beverlys! Plaid introduces Me & My Peeps™, a fun new collection of iron-on transfers to express your family's unique personality. Simply mix and match the Me & My Peeps characters to display your family on wearables, accessories and more. 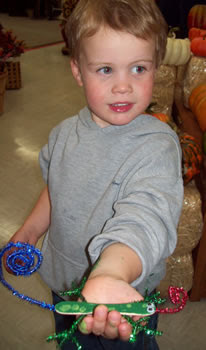 Super easy, and so cute - and this month's internet coupon - go check it out! 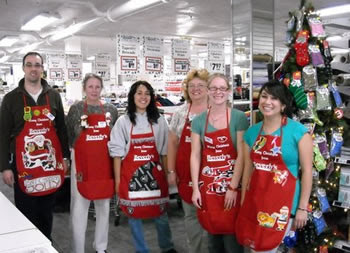 Another Successful Kids Can at Beverlys!